No belief in numerology necessary to appreciate a line of digits. This one I won’t see again for another 70,000 miles. Doubt the bike computer will last that long. 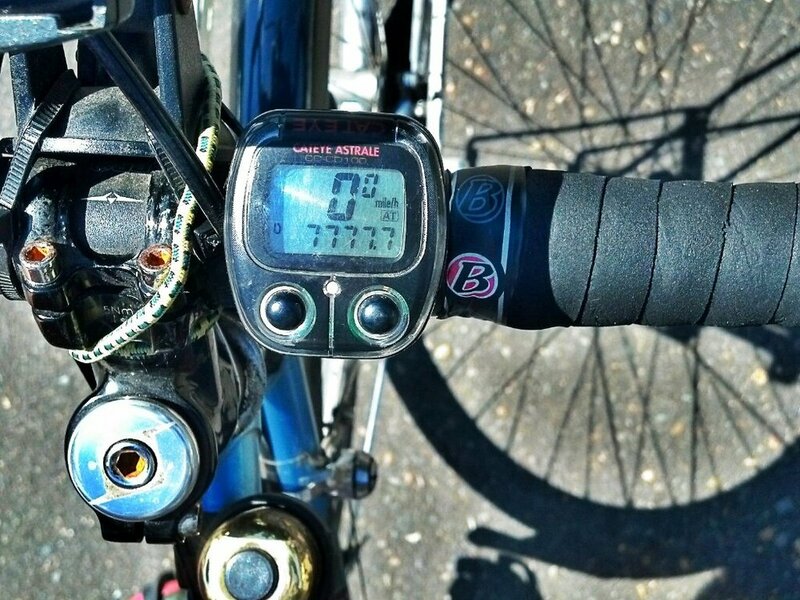 But this number, 7777.7, is the distance traveled since I popped new batteries into the long dormant computer, hopped on the bike and began merrily pedaling 2 years ago. 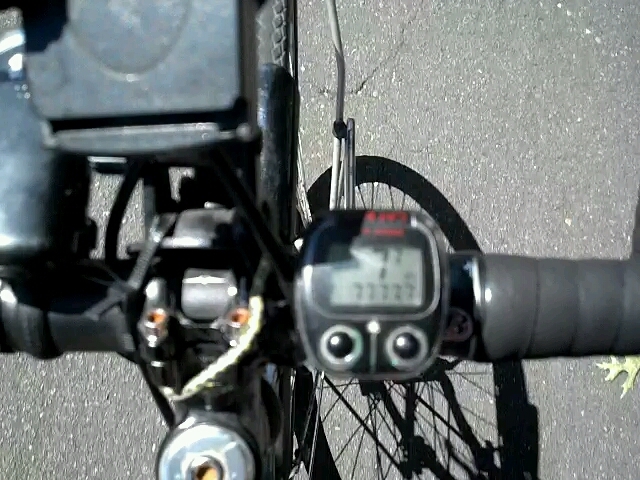 I wanted to see the speed readout as 7’s too, so I took a video, one-handed, while pedaling. Slowly, 7.7 miles an hour, on a side street in Corvallis, but dangerous nonetheless. Kids, don’t do this. Anyway, the blurry second picture is a screen grab of the computer, fully decked out, with seven 7’s.